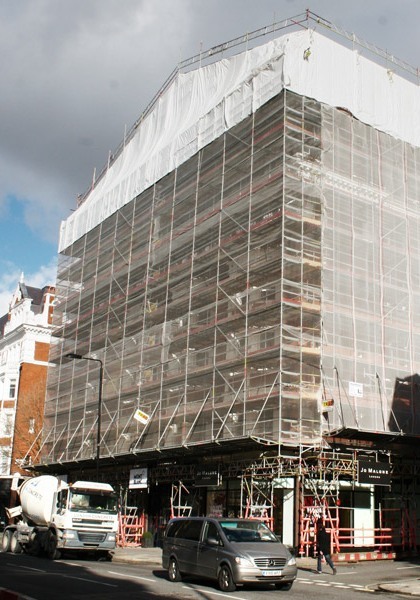 TRAD worked alongside Chorus on the refurbishment of 150 – 155 Sloane Square. This prestigious building consists of 8 exclusive apartments, set in a period residential property in Chelsea, which was undergoing major refurbishment works. 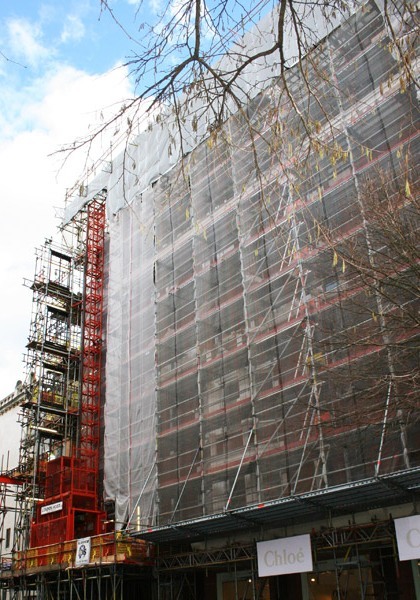 TRAD provided a temporary roof system that spanned 32 metres allowing works to be carried out on the roof and structure of the building. A heavy duty beam hoist was installed so materials could easily be moved up to all levels whilst works where carried out. 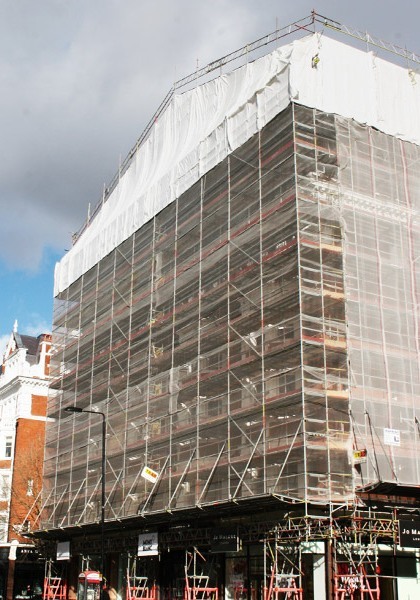 Layher System scaffold was used for this project to minimise the time on the site and allowing for easy adaptions. 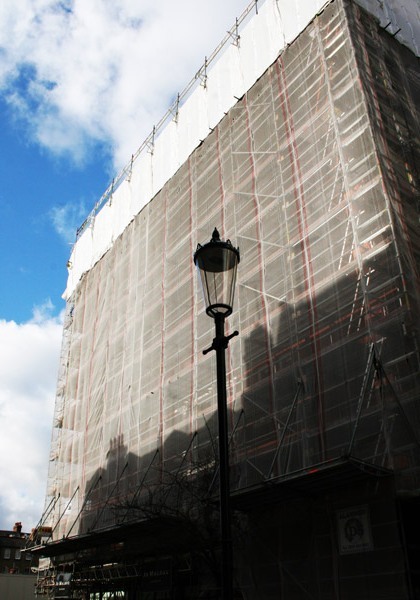 On the ground floor of the building are several retail units, which remained open through out the process, TRAD had to ensure that the street level scaffold bridged around these. Priority was to avoid disruption to these retail units and allow them to continue operating as normal.